There can be a thousand reasons to stop but when the reason to do it is your passion, nothing can stop you. 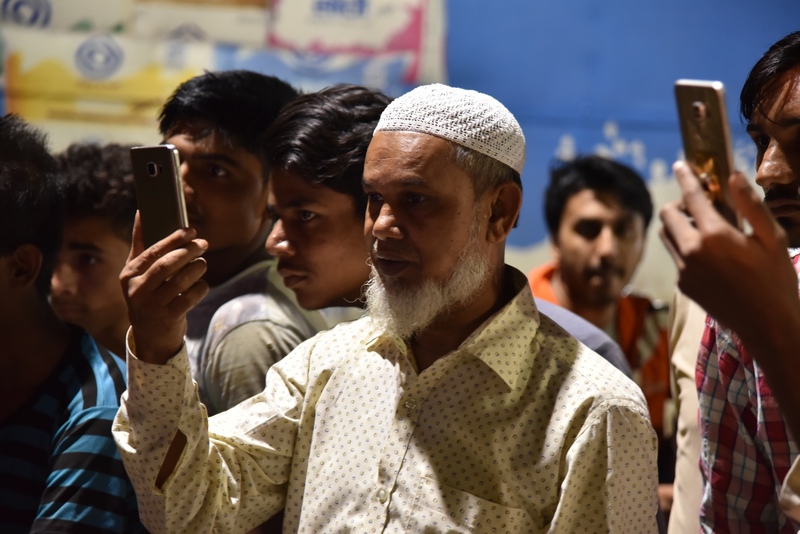 Some laughed, some ignored, some waited to watch the play and some actually appreciated the cause and understood the message. Embracing the vibrant reactions of the crowd at various places, team continued to perform the plays in a single stretch. 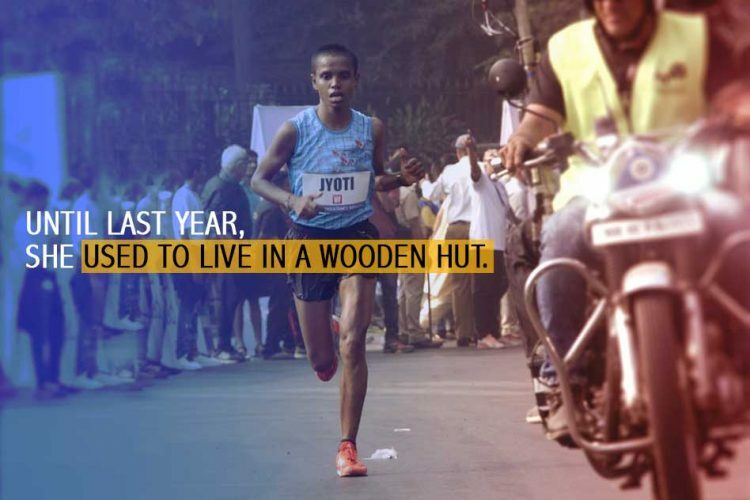 This not only included their month long hard work but was a result of sheer dedication. 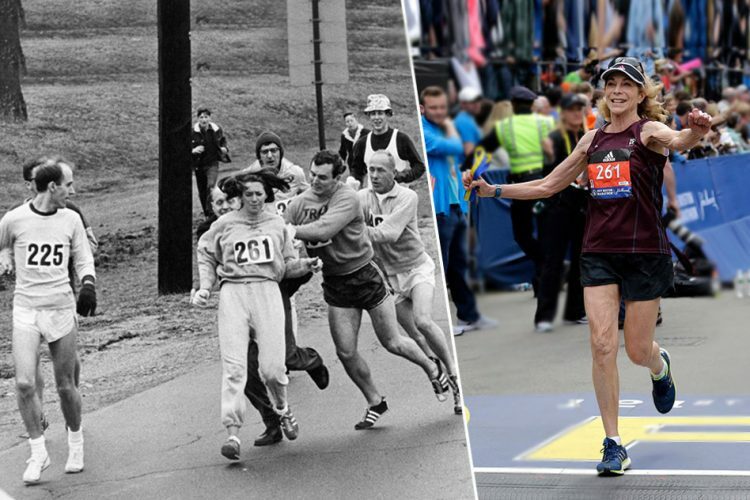 There were moments of smiles, tears, giving up, backing out, encouragement, motivation, pain, distress, stubbornness, passion and all the emotions one could imagine of. But the strengths of the team took all of it and made something so beautiful and worth remembering. 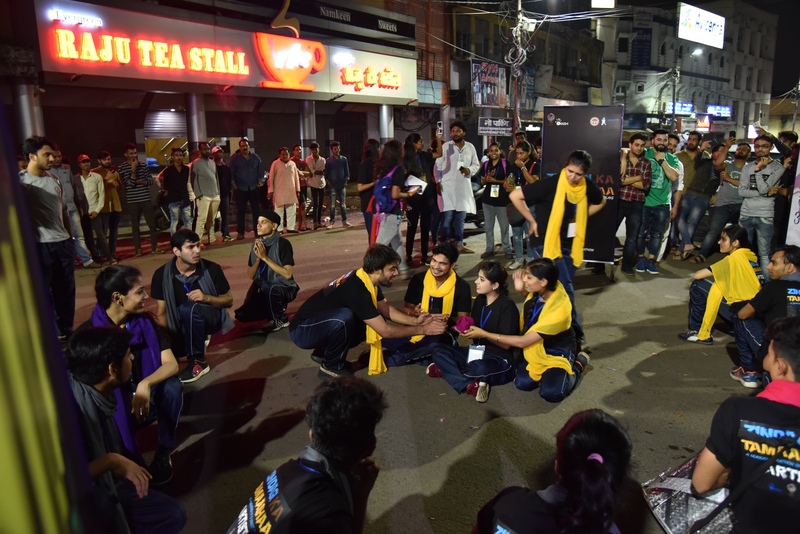 With everyone’s support and coordination, the team was successful in performing 77 plays at 77 different locations in Bhopal. 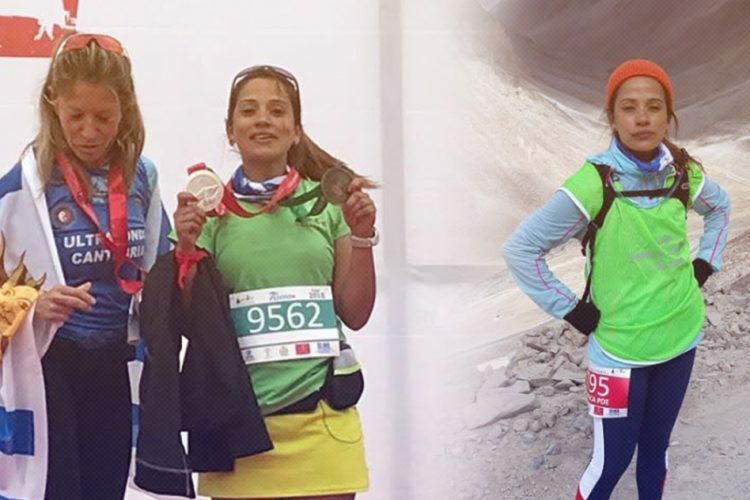 Marathon mainly refers to the action of mobilizing a number of people for a cause. Until now, this mobilization took place through walking, running, cycling, driving and all mechanical across the globe. 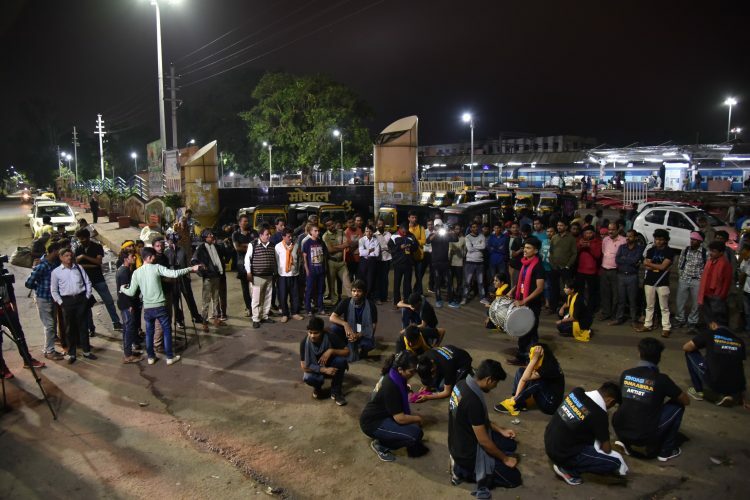 The idea of Nukkad Marathon is something very new of its own kind where artists perform a definite number of street plays at various places addressing people. This is another way of mobilization through art. 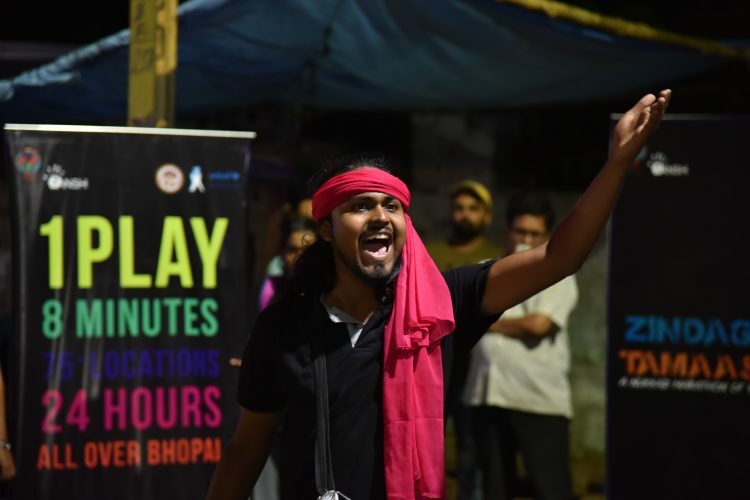 At ANSH, the concept of Nukkad Marathon came into existence in July, 2015 where one play was performed at 27 different locations in Bhopal. 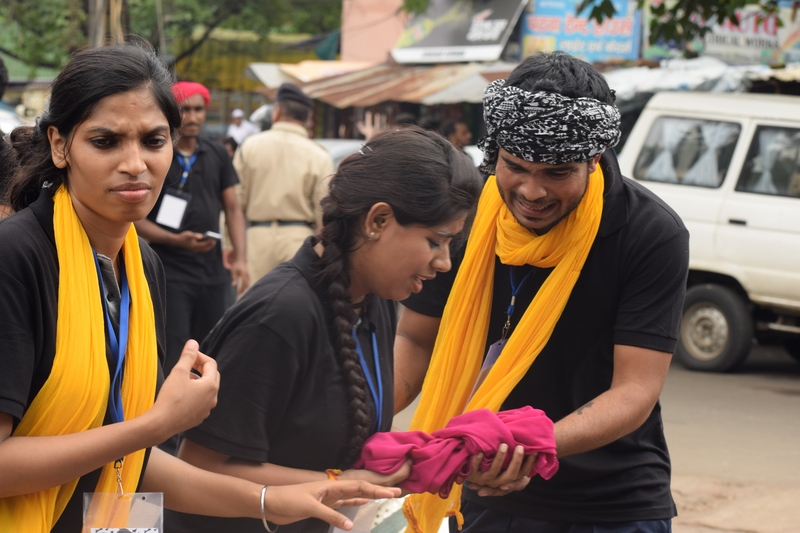 The main motive behind Nukkad Marathon is to spread a message between the people in a very effective and attractive way with respect to all their ideologies and beliefs. The best use of the energy is only possible when we know how to channelize it. 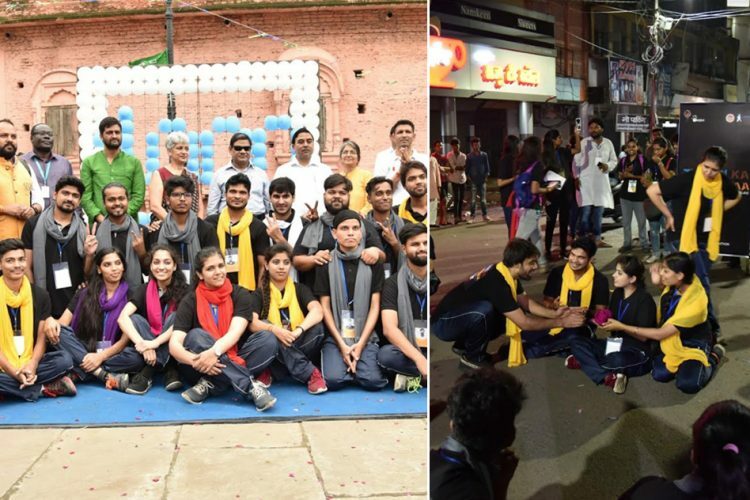 ANSH Happiness Society, being a Youth Organization had an experience of performing a chain of street plays and also had this energy to bring this concept of Nukkad Marathon into reality. 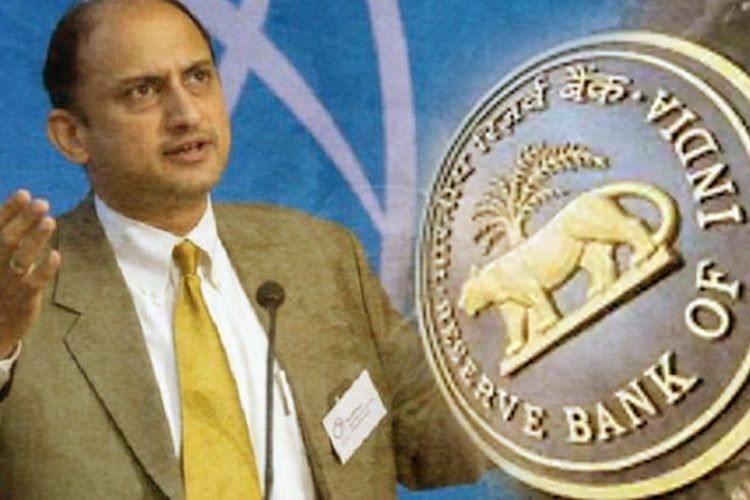 All it required was a source of authentic information with real time research and guidance of the experts. Another important component being a strong subject. UNICEF, being a very flexible organization helped out with the subject and was ready to channelize this energy that youth holds. Youth 4 Children is another initiative in collaboration with UNICEF that mainly focuses on how Youth can play a Vital role to stand up for the betterment of Children in every section of the society. As it is said that Charity Begins from Home, similarly, enlightenment begins from one own self. Before going out in public and starting this attempt to aware, all the interested volunteers agreed to study about the subject and to dig out the deeper facts about First 1000 Days. This process of induction started with periodic classes where facts about the subject were discussed and reality was differentiated from misconceptions. More than 40 volunteers showed interest in being a part of this concept. According to the work identified, two teams were divided very initially The Creative and The Management. The first thing to be done was to sum up all the important information and plan a script that delivers all of it in a very precise manner. 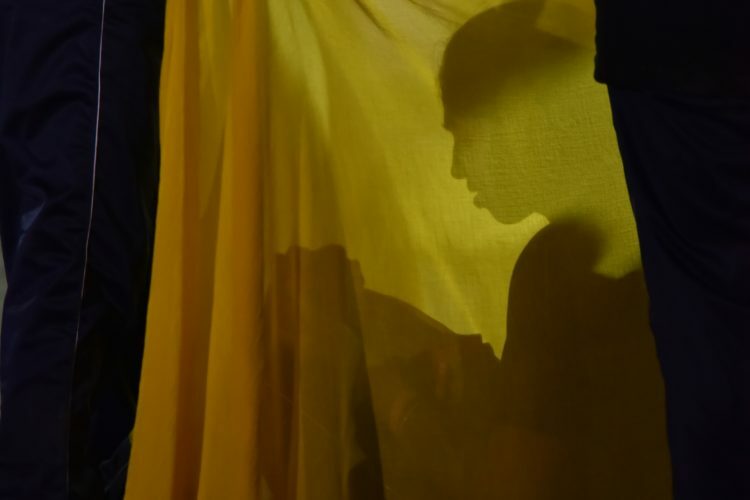 With a lot of research and arrangement of the facts a final Eight Minute script was composed by Sahil Khan and Samyamoy Debnath who later directed the whole play. The work of both the teams was very different but equally important. They not only had to act but feel the script from within. As 75 plays was the initial target, they also had to prepare themselves so that no spot remained unaddressed. 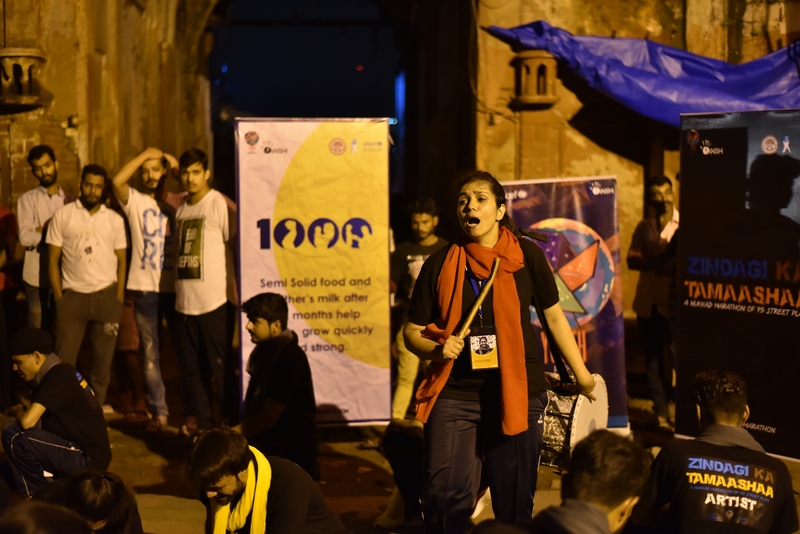 In street plays there is no sound amplifiers that can help to reach out all the audience, therefore they also had work on their vocal cords to reach out maximum people. As it was a non-stop process, there was no chance of forgetting the dialogues or discontinue the flow. They memorized and re memorized not only their own dialogues but of every character in the play as a backup preparation. People behind the stage are often underestimated regarding their importance, but the actually play a very important role. Team management had a lot of things to take care of not only on the event day but right from a month before. Their work was to fix the spots throughout the city according to the volume of crowd with respect to time and finalize the route along with examining it. The team examined the route at different times in a day be it morning, day or night and also in different weather conditions, be it sunny, rainy or both. After finalizing the route they also have to make sure about the permissions they need to have from all the respective places and authorities including District Collector, DIG, Commissioner Municipal Corporation, DRM and had to send a letter of information to every place required. Team dress code and refreshment arrangement during the practice sessions and event day was also another task. 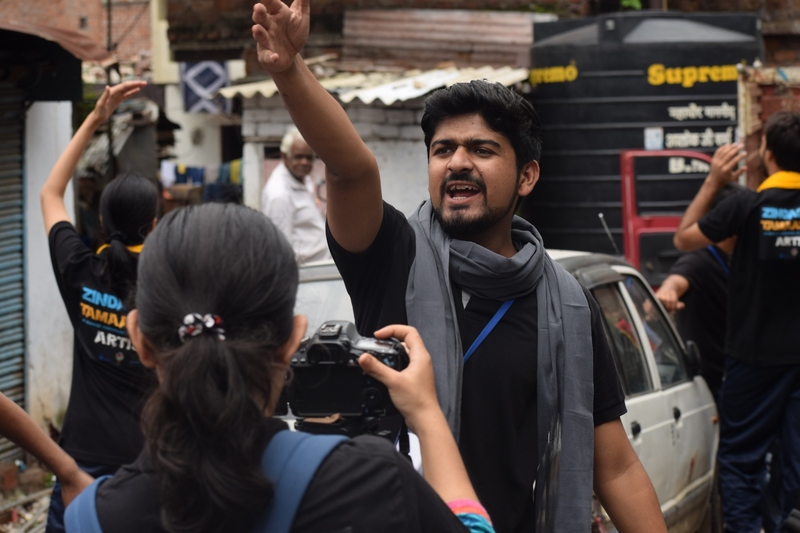 Both teams and their roles were very important in actually make Nukkad Marathon happen. But 27th july had only 24 hours for both the teams. Therefore, be it Artists or Management, Stamina building and healthcare was must for both. 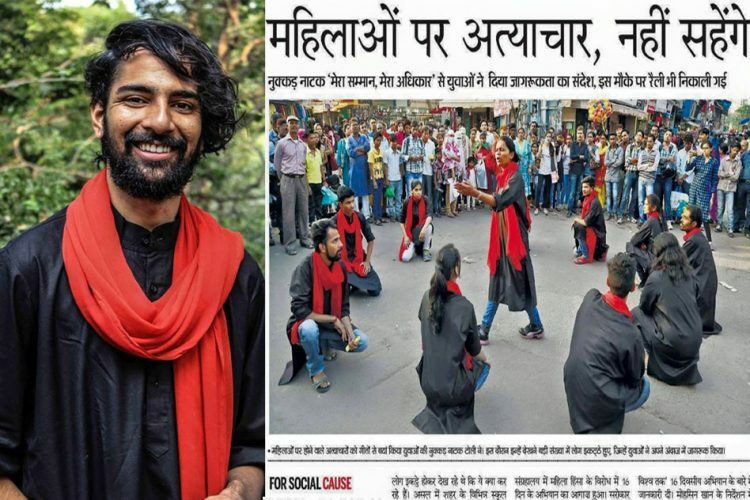 Finally, “Zindagi Ka Tamaashaa” the street play came into existence that encircled all the issues regarding child birth and child care in a form of eight minute play by 16 artists which was planned to be performed at more than 75 different spots in Bhopal in not more than 24 hours on 27th July. The story revolves around a not-so-aware family of Bhola, Gudiya, Munni and their relatives who are first disappointed on the birth of a girl child, Munni. Later they suggest the Parents, Bhola and Gudiya to perform all the traditional rituals like not going to hospital for delivery and regular checkups, not to take iron and calcium tablets for the mother, no mother’s first milk and all prevention from all the other practices that would have helped Munni to become a healthy child. At last, all these prevention make her severely sick and result in Munni’s death. The parents find themselves helpless and regretting. Dr. Yasmin Ali Haque, representative UNICEF India Congratulating the youth group for taking up a cause promoting early initiation of breastfeeding so close to UNICEF and so important to the development of young minds of India. 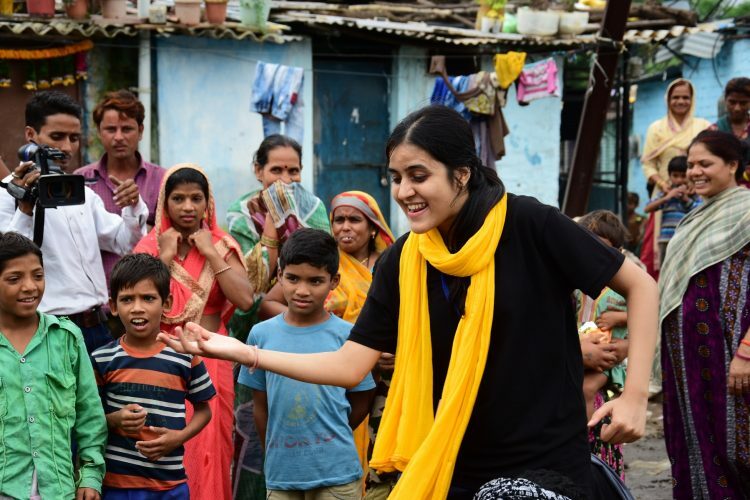 They learnt about importance of breastfeeding and nutrition during first 1000 days of life which perfectly resonates with the key messages of Jan Aandolan and spreads the word on simple positive behavior through the medium of Nukkad Natak. I salute the spirit of the champions for promoting behavior change in the society and addressing issues that have an impact on the lives of children. 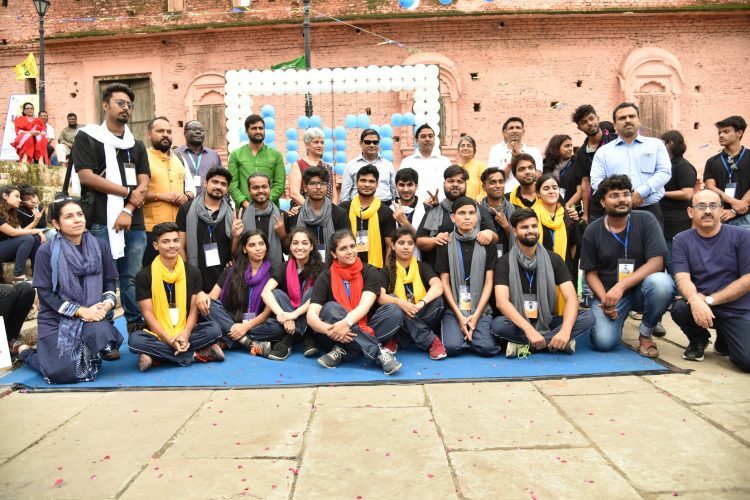 32nd play of Nukkad Marathon was performed at Seedhi Ghat in the presence of Dr. Yasmin Ali Haque (Country Representative, UNICEF), Ms. Anuradha Shankar ADG MP Police, Mr. Michael Juma, Chief UNICEF Madhya Pradesh, Mr. J.N. Kansotiya, Principle Secretary Government of Madhya Pradesh Women and Child Development Department, Mr. Ashok Kumar Bhargav Commissioner Women and Child Development Department, Mr. Jeetu Patwari MLA. Dr. Yasmin appreciated the initiative and encouraged the youth to care and aware. Mr. Jeetu Patwari showed his amazement by giving the message of continuing with the same enthusiasm and not to stop for the team. 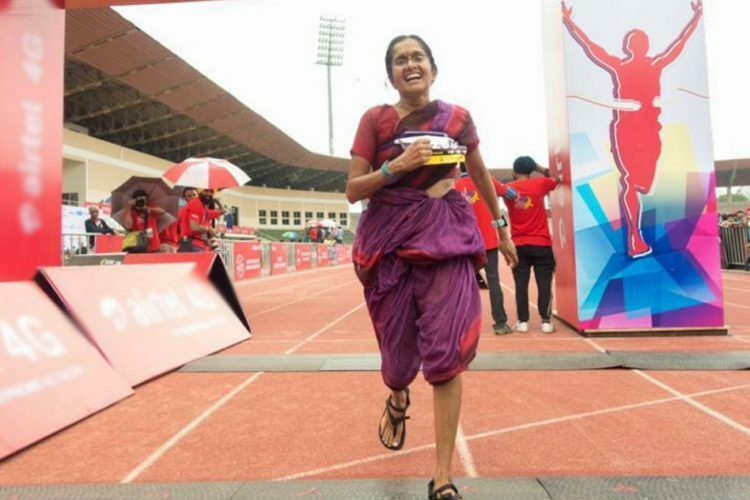 More than 10,000 to 12,000 people were addressed in 23 hours at 77 different places in Bhopal on 27th July through Nukkad Marathon. Tweets regarding Nukkad Marathon made it trend on 4th position with #NukkadMarathon. Spots like Slum areas, Schools, Hospitals, Colleges, Food Hubs, Streets, Offices, Malls, Residential Areas, Public gathering spots, all covered in 23 hours all around Bhopal. ANSH is an Indian non-profit Youth Organization that majorly works on development of Youth by supporting and promoting their ideas. 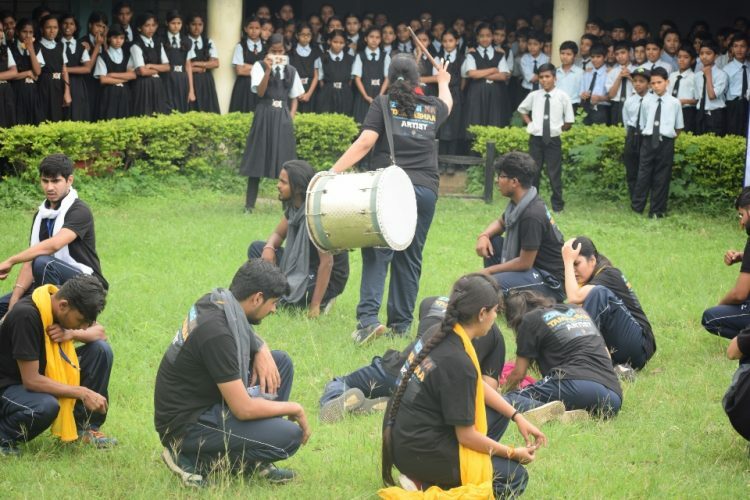 It provides a vibrant platform and strives to educate today’s youth about the ongoing initiatives and how to inculcate a sense of sensitivity for people around us. Programs in ANSH bring out a 360 degree inclusiveness in terms of Communities, Education, Art and all the other aspects of life. Some of which are, Kaafila the space for promoting performing Arts, Mehfil for creating open space for art and artists, Youth 4 Children working to advocate rights of Children, Go RURBAN – creating bridge between Rural and Urban, Summer Internship, Second Innings, Dhanak and more. Currently, more than 500 youth volunteers are directly associated to ANSH and more than 2000 volunteers, indirectly.